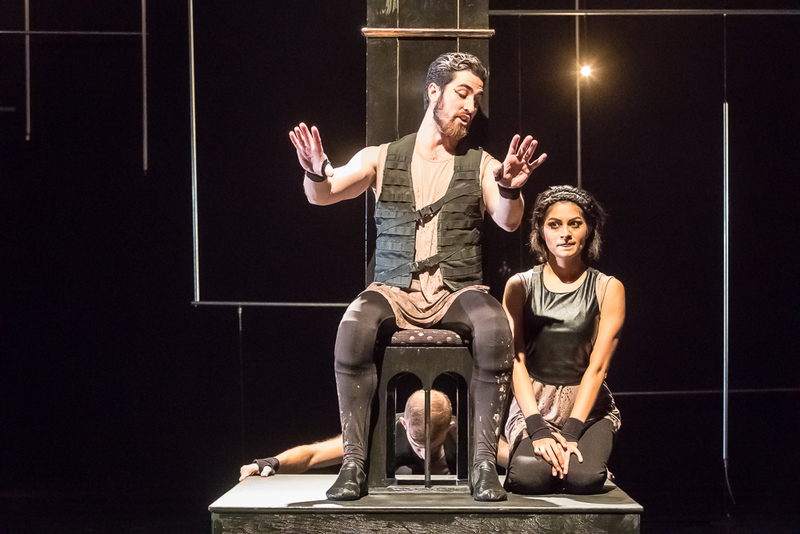 —constructed in the style of CounterBalance theatre where actors play multiple characters, animals, architecture. 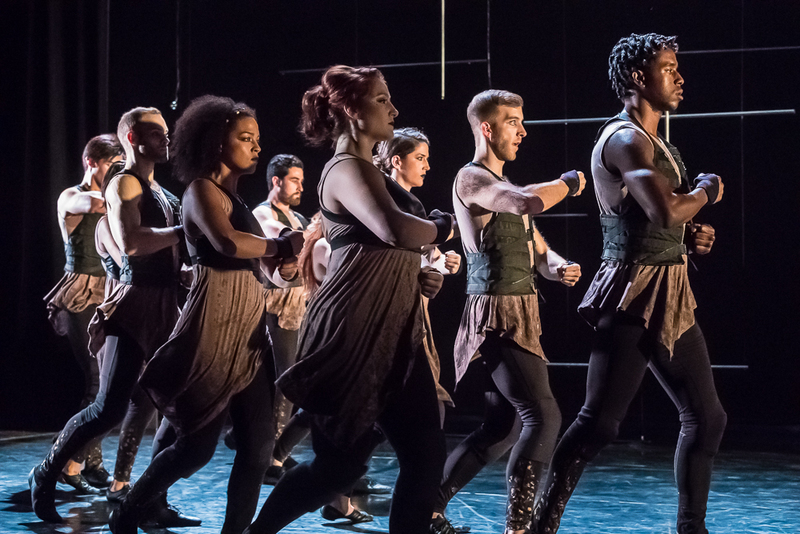 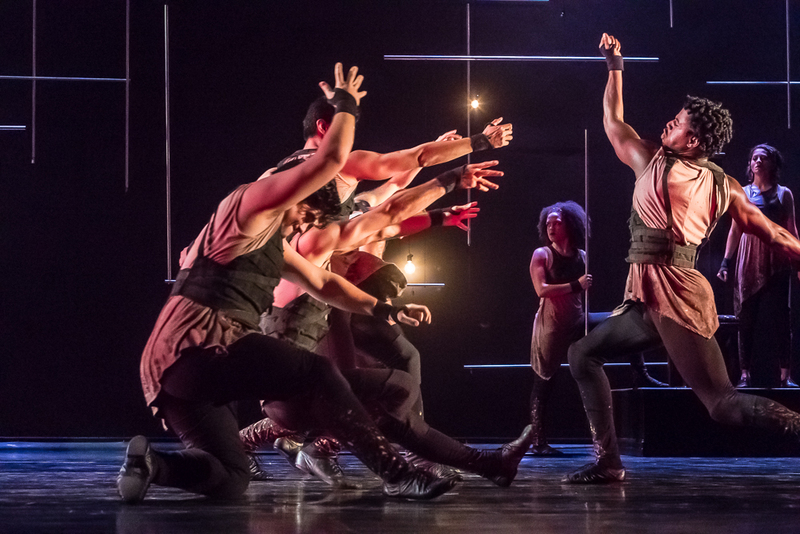 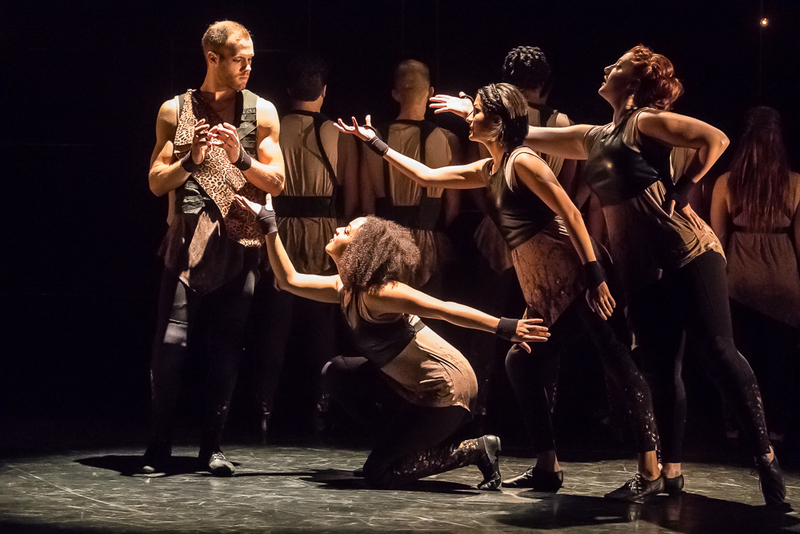 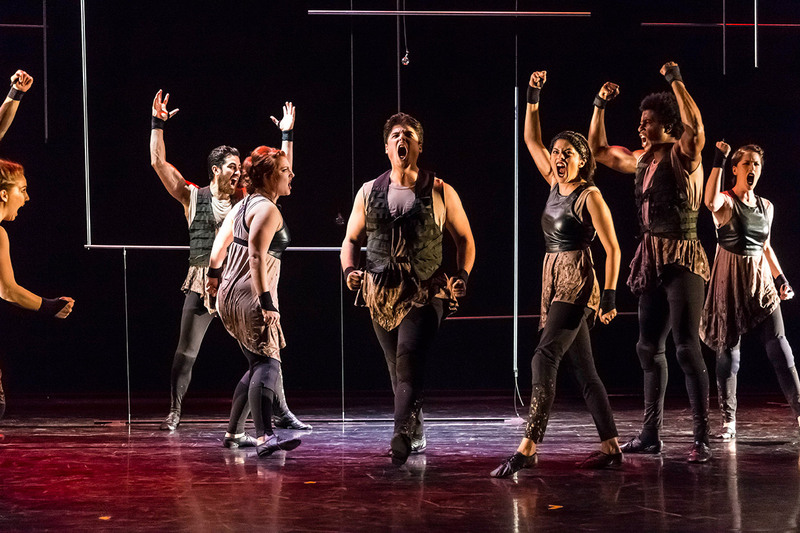 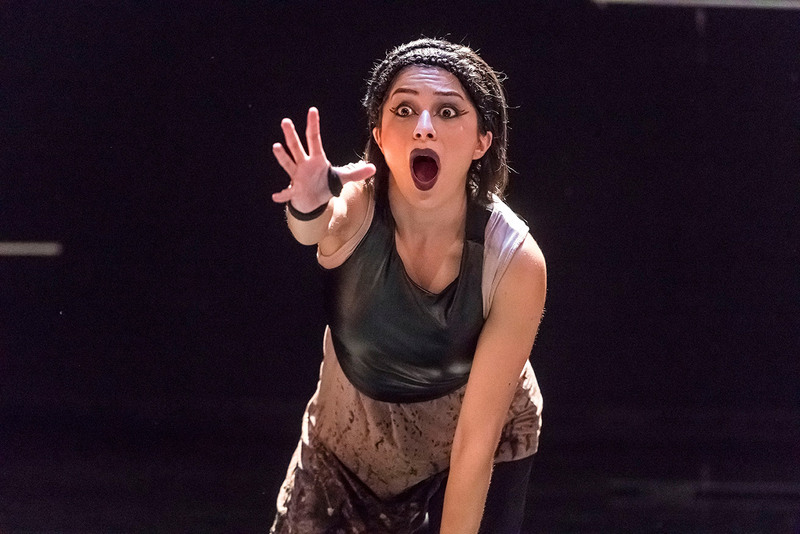 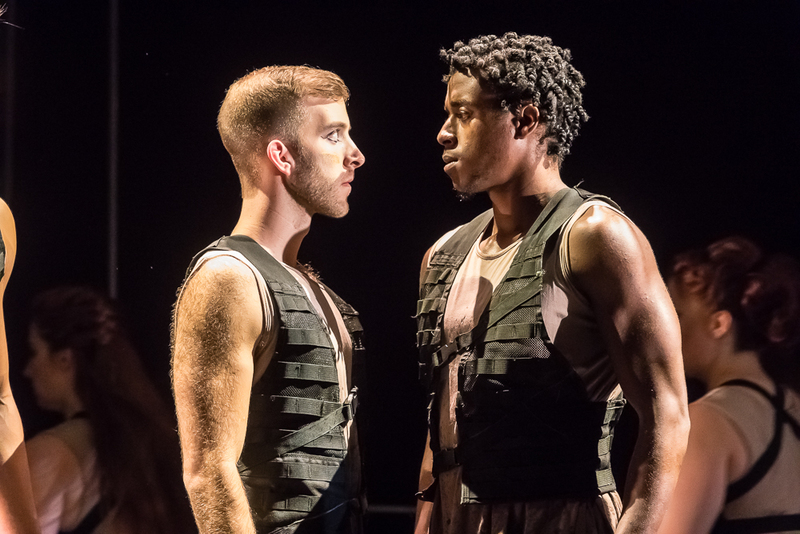 Physical depictions of gods, chariots, and nature personified are embodied by the ensemble of 11 performers who play multiple speaking characters and all of the movement roles. 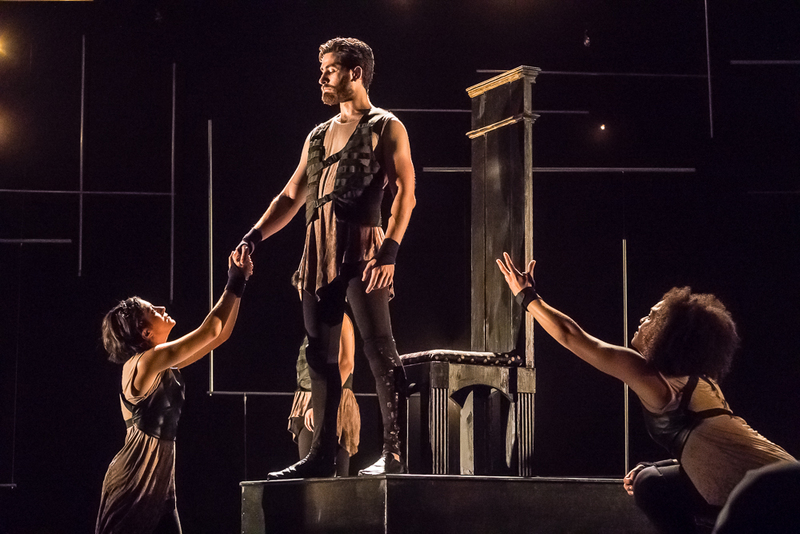 This adaptation of the great epic 9 years into the Trojan War, is also a story about reputation and honor, creating the ultimate THEM and US: a world where friends and allies become enemies, and even the immortals come down to earth to take sides.